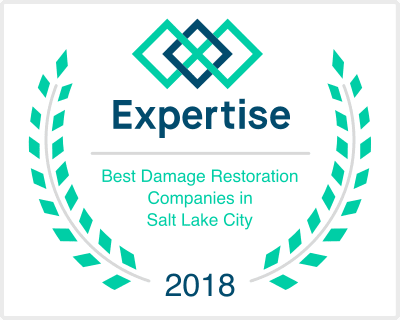 Does My Homeowners Insurance Cover Water Damage To My Salt Lake City Home? In short, homeowners insurance can cover your water damage, but it depends on the situation. Water damage claims are one of the most common home insurance claims. Most policies cover sudden and unforeseen water damage. Repetitive problems such as roofs or plumbing systems that have been leaking for a long time are not covered. Dwelling coverage or personal property coverage may apply depending on the nature of the claim. Dwelling Coverage – If leaking plumbing damages the structure of your home, then you may make claims for dwelling coverage. Personal Property – Personal property coverage pays for the repair or replacement of property such as electronics damaged by water. However, damage as a result of recklessness or poor maintenance is not covered in homeowners insurance. They also focus on the damage and not the source of it. You may have to repair the leaking plumbing yourself. It does not cover floods, foundation failures, gradual damage or water backup from outside drainage or water bodies. To understand the water damage claims that you are covered against, read your policy and consult your agency if you are unsure about anything. It is important to do maintenance on your home as often as you can to avoid problems. In some instances a loss may appear to be caused by negligence or poor maintenance. Keeping records of the companies or people you have hired to do repairs may help prove that your claim is in fact valid. Make sure that you research on the insurance that is most suited for your home before buying. Find an insurance plan that actually takes care of your home’s needs. Study your policy to understand the scope of its coverage, its limitations and its demands on you. Understanding your policy will enable you to know which claims to make. Too much pressure strains your pipes and may result to leaking and a reduce life expectancy. You do not have to set an uncomfortably low water pressure. Moderate pressure will keep your pipes relaxed and still allow you to shower or wash dishes comfortably. Low temperatures may lead to solidifying of water in the pipes. This in turn causes them to expand. When the temperatures finally increase, the pipes may end up leaking. Insulating pipes also helps you save energy. Hard water leads to accumulation of lead and other minerals in pipes. It leads to fast corrosion and hence leakage of pipes. Installing a water softener will help your pipes last longer. We do not always know where the pipes are. You may accidentally burst them with a nail while drilling. Using a stud sensor before drilling walls will help you know where the pipes and cables are. At Disaster Doctors, we offer cleanup and repair services in case of a storm, fire, water or mold damage. We are a family owned company that offers 24/7 service to our clients. We have modern, state of the art machinery including high power ventilation fans, high power vacuuming for water removal, and equipment for testing contamination. We send our bills directly to insurance and get to site in an hour or less. All of our technicians are certified by the Institute of Inspection, Cleaning and Restoration Certification. Contact Disaster Doctors now for a free estimate.